A Very Fine and Palatial French 19th Century Louis XV Style “Versailles Model” Carved Fleur de Pêcher and Ormolu Mounted Fireplace Mantel (Chemineé) all carved with a quarter-round front with bolection moldings above and below, rounded front corners and of serpentine form, surmounted with very finely chased caryatids terms depicting Flora and Zephyr and centered with an ormolu shell flanked by sprays of acanthus, all in it's original mercury-gilding. This model is after the mantel at The Dauphin's Apartment at The Château Versailles. Circa: Paris, 1880. 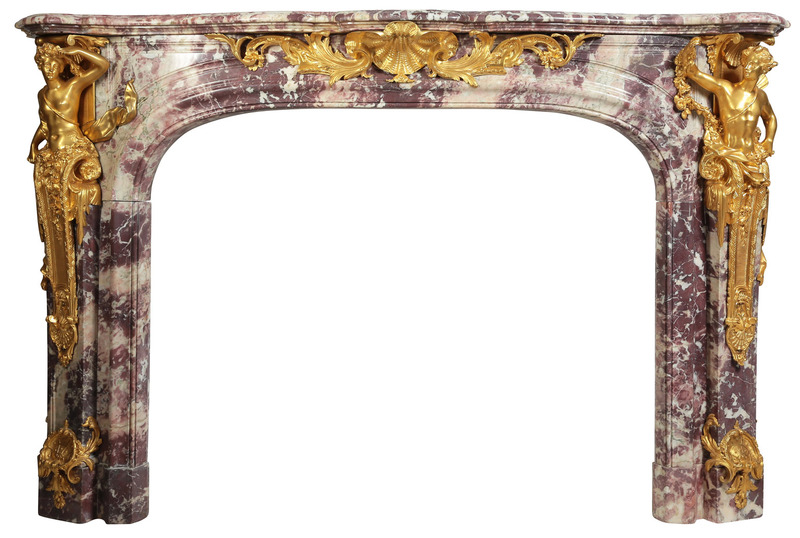 This magnificent fireplace mantel is a 19th century model after the 18th century mantel designed by Verberckt and Trouard and Jacques Caffieri (1678–1755) for the bedchamber of the dauphin at Versailles. 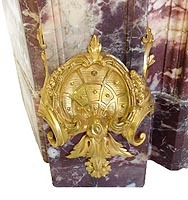 This beautifully designed model fireplace with figural ormolu mounts can be found in Royal Palaces, palatial private residences and museums around the world. Another example of this model was installed at the Salon d'Apollon in the Tuileries and also at Hertford House in London, which is now part of the collection at The Wallace Collection in London. François Linke (d. 1946), the most celebrated Ébéniste and bronzier from the 19th and early 20th century, also reproduced this model. 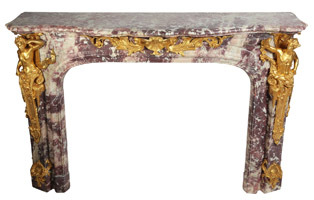 An example of Linke's mantel is illustrated on Christopher Payne's "The Belle Epoque of French Furniture" Woodbridge, 2003, p. 289.